Brown seaweed extract and other supplemental forms of this nutrient has a number of benefits which include its potential of strengthening one’s immune system. With a consistency of vitamins from A to K, and minerals such as phosphorus, iron, potassium, folic acid, selenium, zinc, and even calcium, kelp is a resourceful supplement to not only strengthen immunities. It will also stabilize blood pressure, benefit liver quality, and lower cholesterol levels. One of the recent scuttlebutt of brown seaweed is the inclusion into the lineup of weight loss herbs. 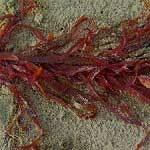 The composition of a seaweed supplement has been found to control appetite which in turn, reduces weight. Asians will often eat seaweed salad for its nutritional benefits as well as potential of defeating the production of fat, particularly adipose fat which surrounds bodily organs. Most supplements have their own array of benefits. However, there are usually side effects which accompany supplements to a certain extent. This is true for brown seaweed supplement as well. Since this seaweed is a source of thyroid supportive iodine, an overabundance of the iodine will lead to abnormal thyroid function. Also, if you have an allergy or sensitivity to iodine, large amounts should be avoided.